10 Exciting Jobs for Women in The Beauty Industry to Make Money – The beauty industry is one sector that continues to develop and never stop growing. Since a long time ago until now, the beauty industry requires personnels or human resouces who have specific skills to keep company moving. For those who have the appropriate ability, then this industry is the right field to gain income. The real picture of the growing beauty industry is the increasingly diverse types of jobs. There are several professions that have always existed from the past until now. And, not a few profession that exists recently, especially in line with digital era development. The emergence of some new professions have never been thought of before, but it actually invite spotlight at this time. In this article, we have summarized 10 professions in the beauty industry which are specifically suitable for women. The list will start from the new one in recent era, to those that have never existed before. It could be the professions in the beauty industry will continue to grow along with current development. 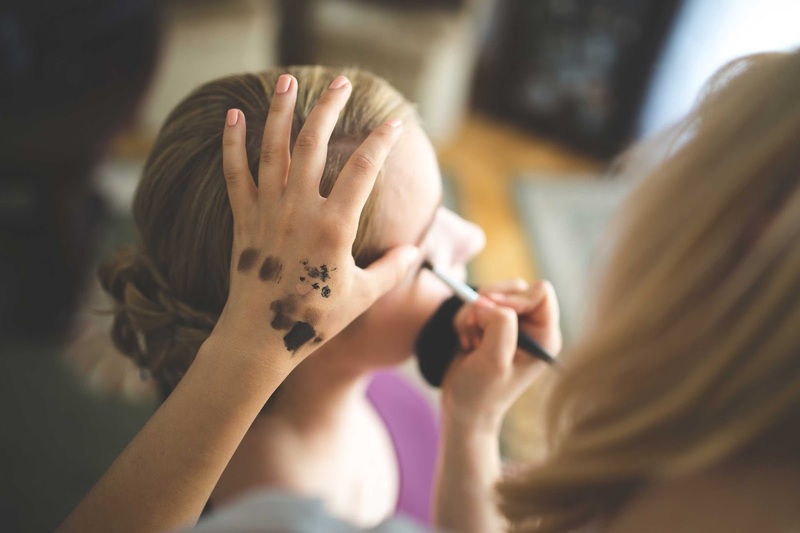 Let's take a look at the following 10 professions in the beauty industry to earn money. The digital era is rapidly growing. Being a Youtuber even becomes the ideals of youngsters in the millennial era. The existence of digital world connected to the internet gives widely new spaces for many professions that have not existed before. One of them is beauty blogger/vlogger. There are many advantages to being a blogger/vlogger. They can gain dollars through the produced digital works. We can say: they do their hobbies to make money. Flexible hours is the next advantage. They can work, or do their hobbies, wherever and whenever they like. The important thing is their creativity keeps turning. The other advantages, a beauty blogger usually become a role model through their works, considered as a reliable guide when it comes to selecting beauty products. Thereof, they are also called "beauty guru" or "beauty influencer". But, the profession as a beauty blogger is not as smooth as it seems. To produce continously interesting contents, they have to take a lot of effort and time. Not to mention the tight competition in the middle of digital era that requires them to always generate update contents and follow the prevailing trends so as not to be left behind. It has been a long time, a model is considered as one of the prestigious professions. Possessing a good-looking face and stylish ability, the models is also required to be creative. The model is not only limited to showcase latest fashion collections in the catwalk during the fashion show. There are so many areas in the beauty industry that require models as the ultimate portrait to highlight the promoted products. In the middle of rampant products sold in the market, a model have great opportunities to bring in a lot of money. Makeup artist or MUA is also one profession that gets the spotlight in the midst of rapidly expanding digital age. It's easy to access photos of their works on social media platforms like Instagram, for example. Social media is being a forum or media for them to promote and display the created works. There are so many makeup artists that is sought after even if their schedule is already filled up. Their skill specialties can range from makeup artistry for weddings and special occasions, to model, movie, or advertising photo shoots. The capital to become a trusted MUA is certainly not cheap. But do not worry, the MUA will be able to gain dollars, especially for those who has gained popularity. Learning to be a MUA can be done self-taught to take the course to abroad. This profession is also very synonymous with the beauty industry. The figure of a hairstylist or hairdresser should always be exist especially in a beauty salon. A hairstylist is also not just anyone. They should know how to style the hair that matches the client's face. Often they should also be able to adapt and accomodate the clients' desire or needs. That is why the hairdresser profession is also highly sought after for their abilities that are not owned by anyone. Earnings? Certainly not small. And it can be used as the main livelihood. Next, the profession to earn money in beauty industry is a beauty therapist. Not just anyone can become a beauty therapist. Besides having professional expertise in dealing with various beauty treatments, a beauty therapist especially should be friendly and easygoing. The work of a beauty therapist is to provide beauty treatments such as facial and body care for clients. So if you have the required skills and are interested in beauty treatment, you could be a beauty therapist. A skincare specialist is those who have taken special certification to study medical and surgical aspects of skin. Their daily works are giving a consultation and offering the recommended products to improve the client's skin health. Usually they work in a beauty clinic or salon and do some beauty treatments such as peels, masks, or scrubs in order to enhance person's appearance. If you are someone who is patient, detailed, and very fond of the nail beauty, then you can consider nail technician as your source of income. The above average ability should be mastered such as doing manicure, pedicure, to cuticle treatment. A person's creativity becomes an important factor to pursue this career. The great demands for beautiful nails that seems endless make a nail technician have bright prospects. Moving into a larger context, a fashion designer is also increasingly taken into account. The dynamics of fashion world are endless and always bring new opportunities. There are many schools, institute, college or academy opening fashion design courses with various curriculum packages. Fashion designers' job descriptions may include producing thematic concepts, making and developing clothing patterns or motives, creating clothing designs through hand-drawn or computer sketches, analyzing fashion trends, and overseeing production. Unlike the beauty therapist, the profession as a beauty consultant is usually attached to a particular brand. That is, beauty consultant or beauty advisor is needed by big company as their direct representatives to serve consumers. They usually work behind a cosmetic or makeup counter of department stores and give advise to customers relating to beauty product range. As dealing with costumers directly, they should achieve company's sales target. If you like taking pictures, then a becoming a photographer may suits you. Being behind the scenes, this profession is often underestimated. In fact, a photographer plays an important role in presenting promoted products. Not only presenting the products in an aesthetic way but also salebale. The ability to work wheter in a team must also be owned since the environments are very dynamic. Not only adept at operating various types of cameras, a photographer should be able to create good photo compositions and play with lightings.